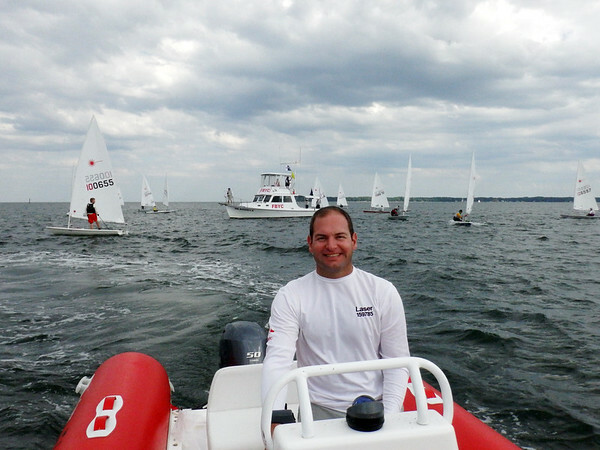 It’s winter now and what better to be doing than reflecting back on fun fall sailing. 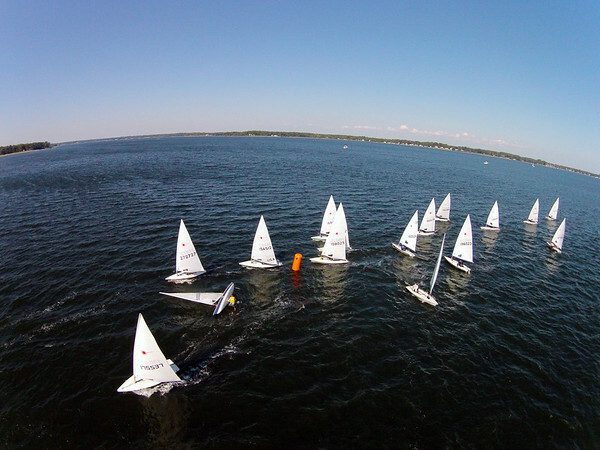 Here’s the video from the 2014 Laser Masters Atlantic Coast Championship at FBYC. 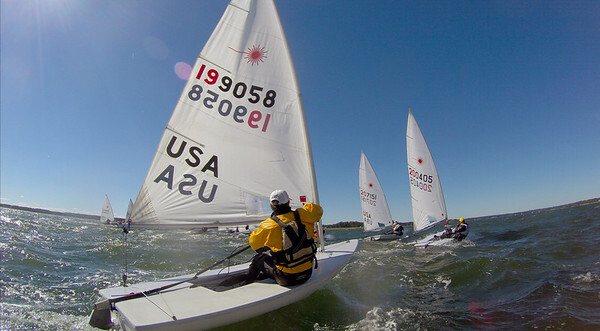 This year’s Chesapeake Bay Laser Masters Championship was probably one of the best yet – good turnout, good weather and great food made for a smooth event. 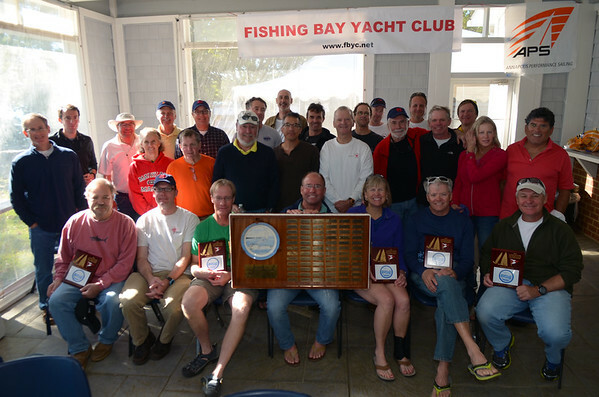 It was also the year FBYC hosted it as the Laser Masters Atlantic Coast Championship and with it, a few more folks from New England and Kansas. For racing on Saturday we had 7-12 and clear skies. 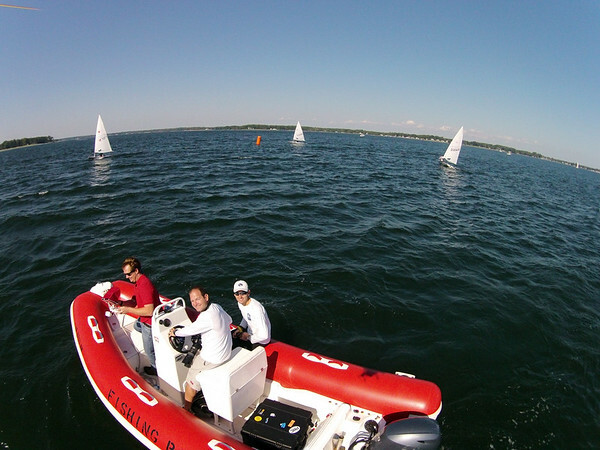 Ned Rennolds joined Mike Russom and me on the safety boat with his drone and we got some great photos and video of the fleet from overhead during the first and second races. For the rest of racing on Saturday I did my usual of floating around and taking pictures and video. This year we even dress up the committee boat – Mr. Roberts as seen with the red lettering below. By the end of Saturday we had gotten a good day of 5 races in for the sailors and we called it a day as the wind started getting light and fluky. We had a few visitors join us for dinner including past fleet captain and chair of this event – David Hazlehurst. Alain Vincey did another wonderful dinner followed by plenty of Laser stories and a viewing of some of the drone video for today. Sailors hung out in the club house and later by the fire at their campsite well into the night. Sunday’s wind was much greater than Saturday and a number of sailors, didn’t go out, took advantage of the rig-swap opportunity, or retired before starting a race. Fortunately only one sailor needed any assistance and thankfully Mike R was onboard the safety boat and ready to get wet. Three more races were sailed as the fleet slowly dwindled. I didn’t get many pictures due to the waves and activities, but I did get some video of some screaming reaches. Once again it was a very successful regatta. I really want to thank all of the folks on the race committee, Alain, Brad and all of the FBYC fleet for all of their help putting this event on. This was my 10th one and I’m looking forward to just a few more years when I can join in!